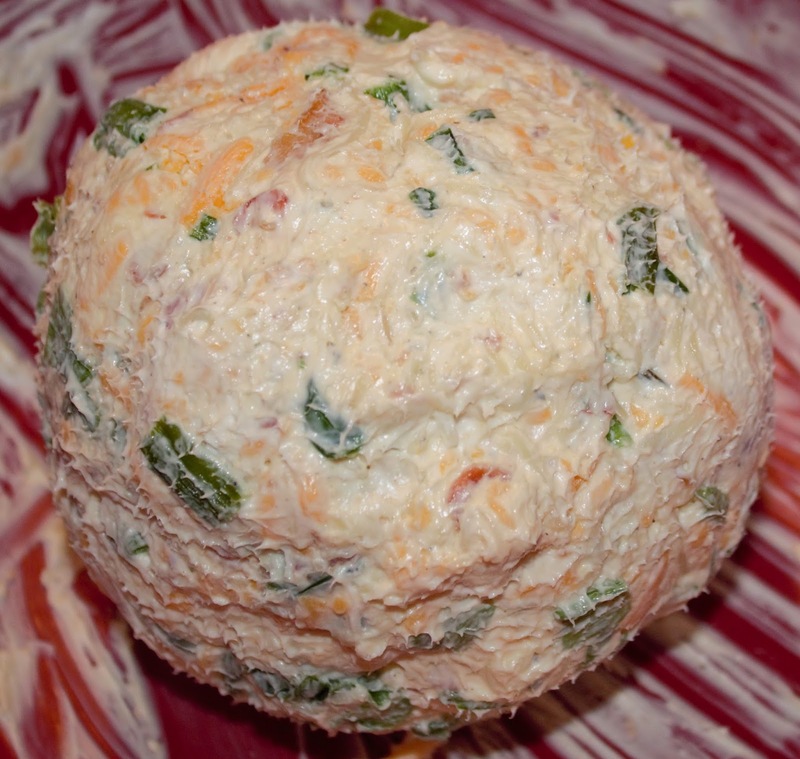 I saw a video of someone making one of these cheeseball. In all honesty, I have never eaten a cheeseball before due to the fact that most are covered in pecan or walnut. 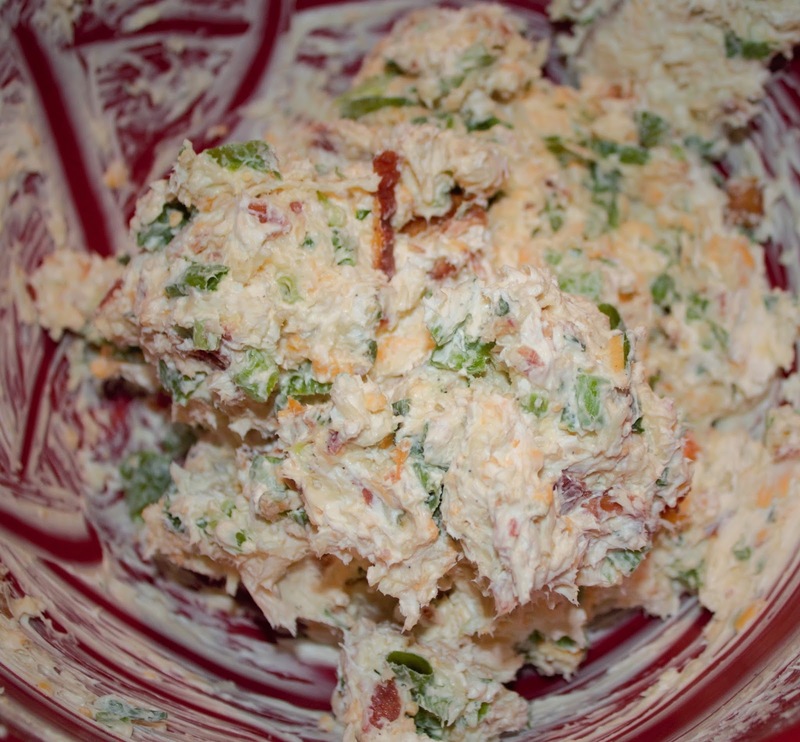 I did add my own twist onto this recipe to make it my own. 1: Shredded the block of extra sharp cheddar cheese. 2: Take bacon out of bag and place on plate. microwave for 1:30 or until crispy. Cool. 3: Empty both container of cream cheese into a large bowl. Let sit for 5 minutes or until softened. 4: Add half of the Italian and extra sharp cheddar cheese to the bowl. Place the rest of the cheese on a plate. 5: Clean and chop green onions. 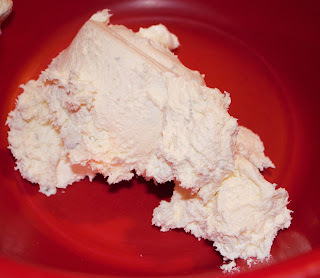 Put in bowl with cream cheese. 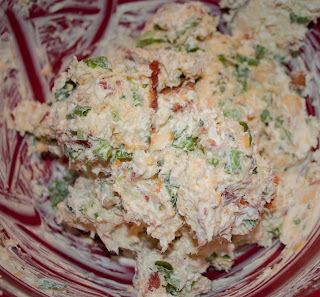 6: Chop the bacon adding half to the bowl along with the pepper and garlic powder. 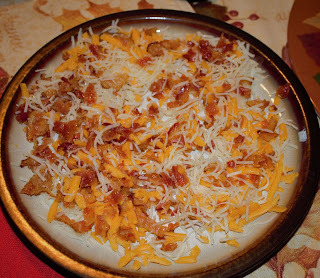 Add the rest to the bacon pieces to the plate with the cheeses. 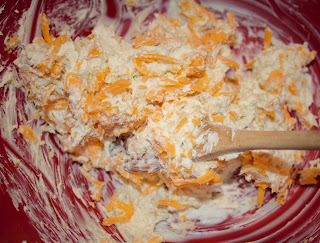 7: Stir the ingredients together. Then start to form the cheese into a ball. 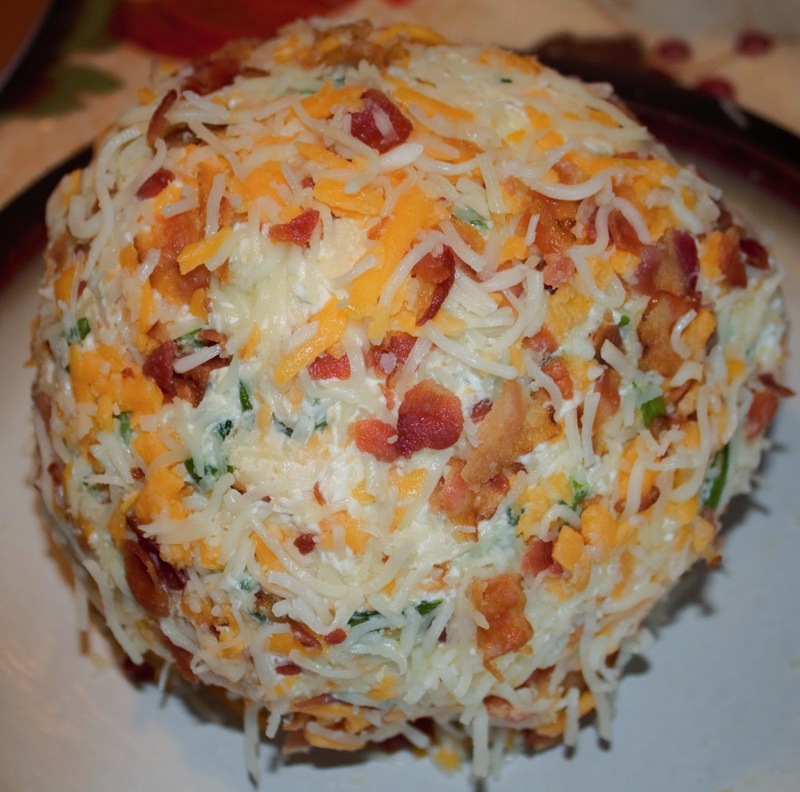 8: Once the in ball form, roll the ball in the bacon and cheese mixture, covering the whole ball. 9: Refrigerate for 2 hours until ready to serve. Sidenote: I ended up cutting the ball in half due to it being the size of a 2 lbs medicine ball. I made this for the SEC championship party I went too. I took this and my Citrus Salad drink (I made it with champagne this time) and both were a big hit. I am making both for other parties that I plan on attending.